So you have a pesky alien organism threatening to infect the entire planet and end all life as we know it. Or you’ve dialed up the Stargate to a black hole, and now you can’t shut it off. Or maybe the Goa’uld have arrived, and you have just one weapon left at your disposal. Maybe the time has come to blow it all up. 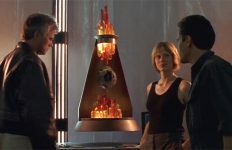 The self-destruct mechanism is a staple particularly of sci-fi storytelling, and the Stargate series are no exception. 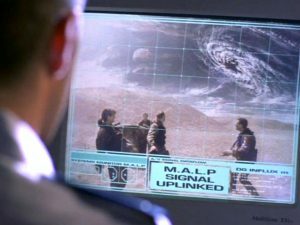 From Stargate Command, to the city of Atlantis, to Midway Station and beyond, it’s been a go-to plot device on many occasions. And who doesn’t love a good countdown clock to add a little tension? 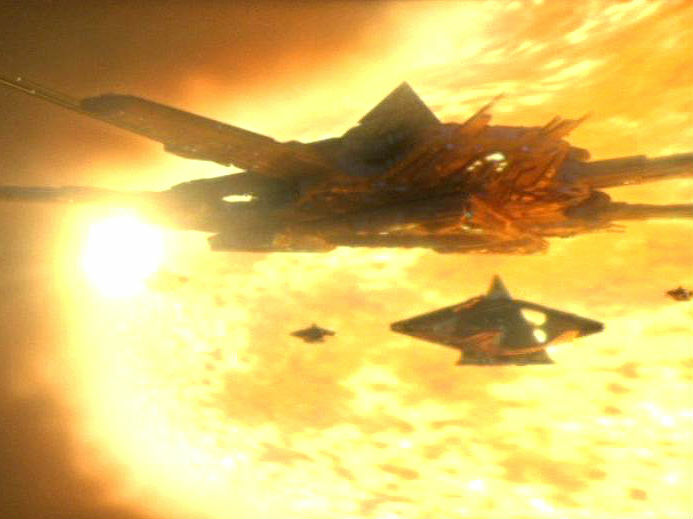 Today we’re looking at nine times the Stargate shows made use of the auto-destruct to move the plot along. Can you think of any others? In the first season of the show the S.G.C. really did blow up! 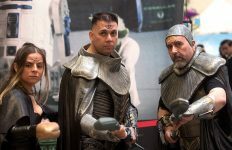 It’s an alternate universe with a different version of Earth, a different Stargate Command, and different versions of our beloved characters … so of course the show’s writers cannot resist the temptation to blow everything up! After an encounter with a quantum mirror our Daniel Jackson finds himself on an Earth under siege by Apophis. With Jack O’Neill is dead and Jaffa forces overrunning the base defenses and threatening to seize control, there’s just one solution left. Dr. Samantha Carter, Colonel Hammond, and Catherine Langford set the base auto-destruct and help Daniel escape back to his own reality — just in the nick of time. 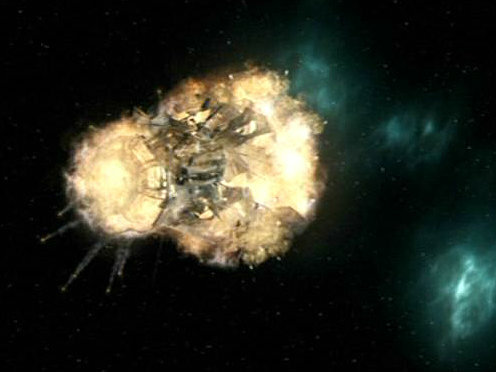 Their last-ditch efforts to defend the base fail, and Stargate Command is destroyed. The countdown is on when a sentient alien organism infects the base systems. 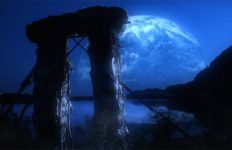 SG-1 finds an alien orb on another world and brings it back for study, but when things get out of hand they try to toss it back through the Stargate — leaving Colonel O’Neill pinned to the concrete wall of the Gate Room by the device. As the organism spreads and takes over both him and the base systems, the auto-destruct appears to enable itself. General Hammond explains: the “Wildfire” protocol is set to activate automatically in the event of a containment breach. In order to prevent any threats brought back to Earth from escaping the mountain, the S.G.C. will be destroyed. Only some quick negotiating with the organism prevents disaster, as Jack sends the orb through the gate to a habitable world … one second before the base explodes. The Stargate is connected to a world on the edge of a black hole, and the gravity well massively slows down time. Not only does Henry Boyd’s team have no chance of rescue, but the time dilation effect is translating back through the open wormhole and affecting Stargate Command. Time is passing more slowly inside the mountain than above ground, and the Air Force sends in reinforcements after communications are lost. 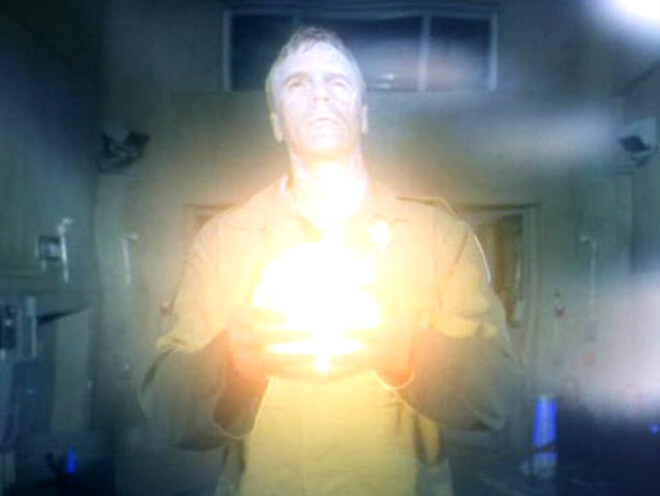 Colonel O’Neill sets the base auto-destruct (with help from Frank Cromwell, an old “friend”), hoping to force the wormhole to disconnect by destroying the gate. But after Carter gets to the surface and works up a new plan, she returns to Level 28 in time to get them to turn it off. This one doesn’t involve the S.G.C., but it’s a self-destruct plan on such a massive scale that we just can’t ignore it! And the fourth season finale is just such a great episode. After exposing the Goa’uld spy Tanith, SG-1 and the Tok’ra plan to lure Apophis and his massive fleet into a trap. They evacuate the Tok’ra to a new world … then drop an open Stargate into the Vorash sun. Stellar matter flows through the wormhole (to the black hole at P3W-451), destabilizing the star. As Apophis brings his fleet into orbit to attack the Tok’ra the star explodes, the shockwave catching Apophis unaware and decimating his fleet. Only SG-1 — and Apophis himself, of course — escape. It’s a Replicator menace that threatens to overrun the S.G.C. 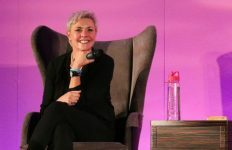 after SG-1 brings an android back to Earth and reactivates her. Reese turns out to be not as innocent as she first appears, creating Replicator blocks as her “toys” — which then become her aggressive protectors. Knowing how dangerous Replicators can be, the team knows they must prevent them from escaping the base and gaining a foothold in our galaxy … at all costs. 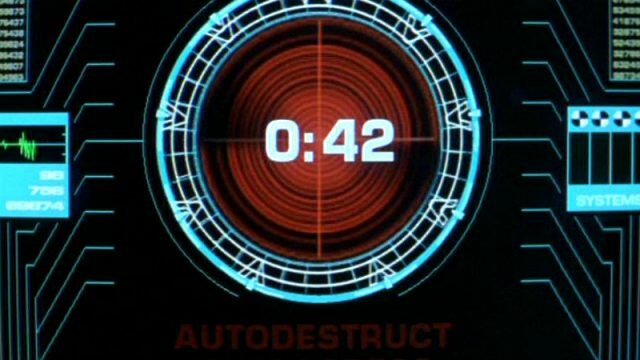 With the main computer compromised General Hammond and Major Carter fight their way to the self-destruct mechanism, and activate it directly. The countdown gives Jack and Daniel less than five minutes. Only Reese’s destruction stops the techno-bugs and, once again, allows the mountain to be spared. When SG-1 takes a delegation of international leaders to the off-world Gamma Site, it’s an infestation of real, flesh-and-blood mega-bugs that causes a new crisis. Earth has built a facility on the planet to house various research experiments. And when it comes to the R75 insects being studied by an Earth entomologist, things are about to get way out of hand. The bugs develop a taste for meat and multiply rapidly, busting out of their containment and consuming Dr. Myers. 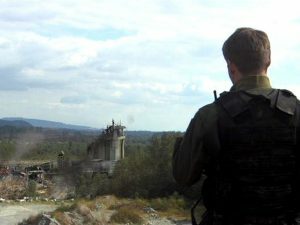 Rather than dialing back to Earth the team is forced to flee the base on foot. With the American, Chinese, French, and British ambassadors in tow, SG-1 witnesses the auto-destruct detonate behind them and destroy the Gamma Base. Another one bites the dust. Atlantis‘s second season premiere makes our list not because the city’s self-destruct mechanism factored in, but because it ends with a brilliant fake self-destruct that is so convincing. Even with help from the Daedalus and its commander, Colonel Steven Caldwell, Atlantis still can’t stand up to an assault by a Wraith fleet for the long haul. The only way out of the deadly siege? Convince the Wraith they’ve been destroyed. The plan is put into motion, and of course it’s going to require exact timing. Teyla uses her psychic connection to the enemy hive to communicate their (false) intentions to the destroy the city. 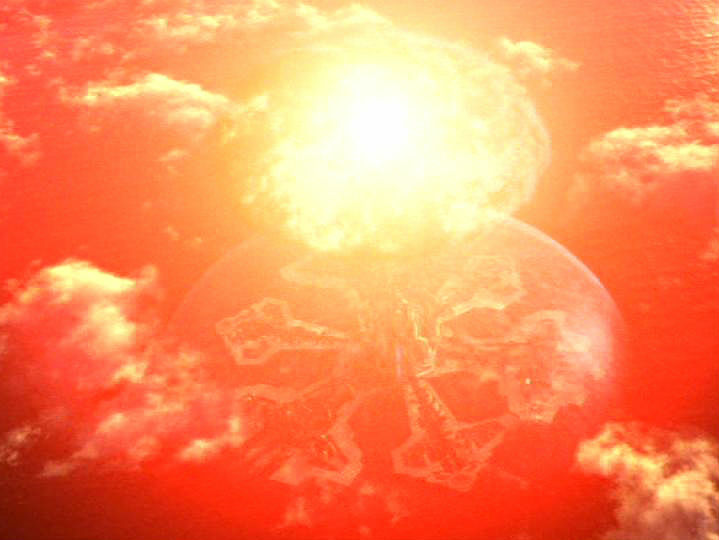 Then Daedalus transports a nuclear weapon right above the city’s shields and detonates it. While the Wraith sensors are momentarily blinded, Dr. McKay switches Atlantis from Shield Mode to Cloak Mode. When the mushroom cloud clears the city is gone … and the Wraith buy it. Sometimes you beat the bad guys and turn off the auto-destruct juuust in the nick of time. And sometimes … you don’t. Sometimes you have to just get in your Puddle Jumper, drift away, and watch the whole thing blow up. Earth has constructed the Midway Space Station in the vast emptiness between two galaxies, to facilitate travel between Earth and Atlantis. But then the Wraith find a way to hack their way onto the station. Under pressure to regain control of the station’s systems, Drs. Lee and McKay discover that Dr. Kavanagh has inadvertently triggered the self-destruct by his dumbfoolery. Locked out of the system, the team must flee to the Jumper. Ten minutes later, Midway explodes. Hot on his plan to make an army of Wraith-human hybrids, the evil Michael infiltrates the city of Atlantis with a stolen Puddle Jumper. He wants Teyla’s baby, who he thinks holds secrets to perfecting his hybrids and one day dominating the galaxy. Michael is willing to do anything to get his way, and that including hacking into the Atlantis computers and setting the auto-destruct protocol himself. He’ll let the whole city be destroyed unless he gets the child. Only two minutes until the self-destruct is set to detonate, Michael plans to walk with a sample of Torren’s DNA — letting the city explode anyway as a last bit of revenge. But the team cuts off his route of escape: they dial the Stargate, destroying Michael’s hijacked Jumper. With the backdoor power to the Control Tower cut, the self-destruct powers down. Michael and his evil schemes are over … but Atlantis lives to fight another day. Can you think of more stories where Stargate Command, Atlantis, or Destiny was nearly taken out by its own self-destruct systems? Post ’em below! Threads – Anubis is about to destroy all life in the galaxy, so O’Neill and Carter turn on the self destruct in an attempt to save Earth. How it shutoff is a mystery. 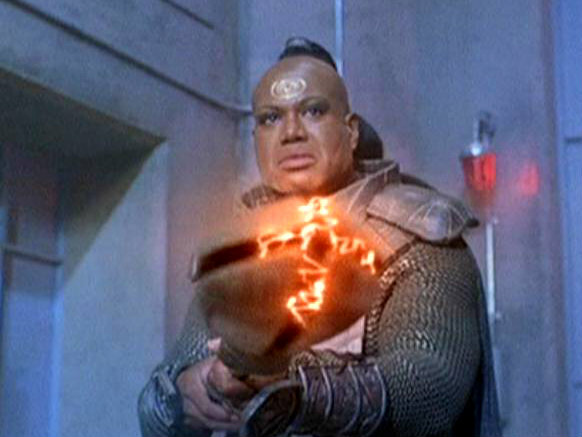 Avatar – In the virtual reality setting, Teal’c and co must repeatedly stop the auto self destruct from going off. How about when the Asgard self destructed their entire planet. Stargate Atlantis episode; First Contact, when the Atlantis gate actually did blow up. Also, the Stargate SG-1 episode; Redemption Pt 2 when the Earth gate was destroyed by Anubis. 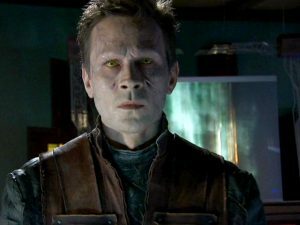 SG-1 Season 7, episode 16: Death Knell – When Anubis’ Super Soldiers attack the Alpha Site, the self destruct is initiated and the base explodes. Major Carter has an exceptionally bad day.